That’s a Wrap! The Tater Team returns to Boise! We had a jammed packed schedule for our Idaho victory lap! To start off the week we visited Sawtooth Elementary in Twin Falls, Idaho. The students were great listeners and even laughed at #andLarry’s jokes! After the Elementary visit we dashed over to the Hoff Family Farm in Idaho Falls. At the farm they have an airport called The Rainbow Ranch. In the hangers they store beautiful custom biplanes! 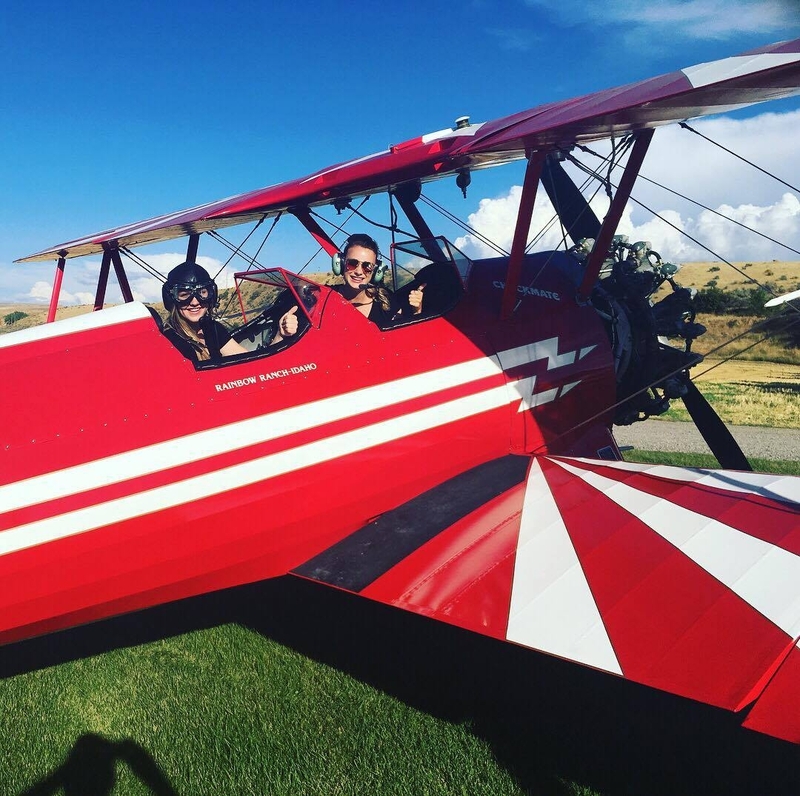 The Tater Team was joined with the Spud Studs and they all got to ride in the biplanes. Kaylee even got to fly in biplane from the Big Idaho Potato truck commercial! It was such an amazing experience and the team was so grateful to have the opportunity! After flying, the team was able to go onto the Hoff potato farm and dig some spuds. 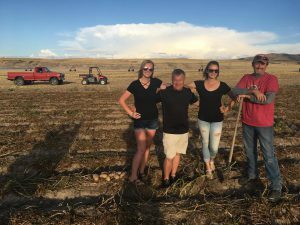 It was the Tater Twins first time on an Idaho Potato farm so it was a monumental moment! Later that night, we went to a barbecue hosted by the Nakamura family. They were joined by the James and Darla Hoff and commissioner Richie and his family. It was a great time to get together with the Spud Studs, Tater Team and the Commissioners! We had a delicious dinner paired with Idaho Potato side dishes of course! The Tater Twins flying the biplane! 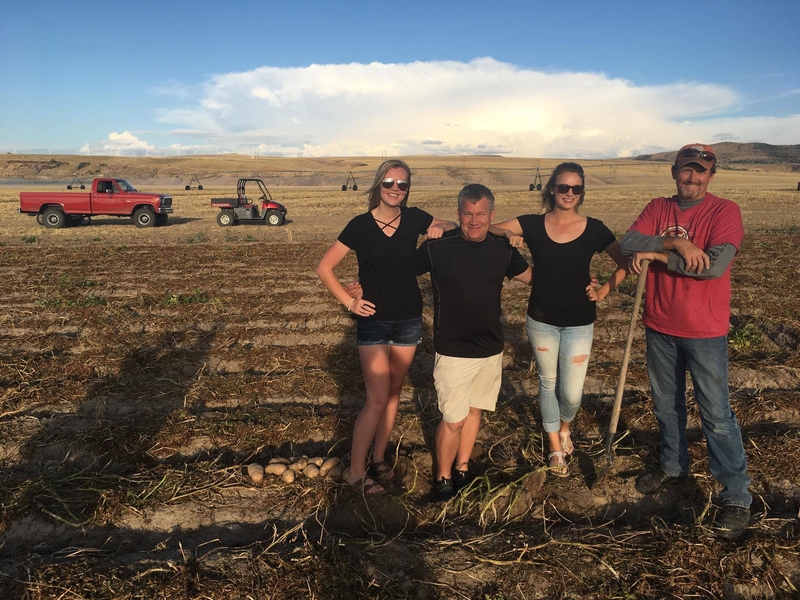 The Tater Team on James Hoff’s potato farm! Over the next couple days, we had events at McDonalds locations in Southeast Idaho it was so nice to show off the potato to Idahoans, some who hadn’t seen it before! The team partnered up with local radio stations at each McDonald’s event, and they did a couple interviews for each station! 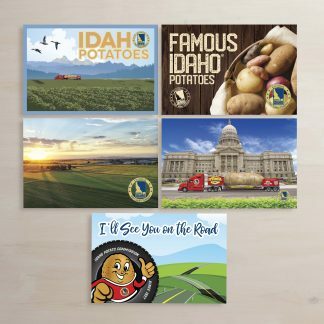 During the events they were able to meet Idaho Potato farmers and others in the potato industry! It was great meeting the individuals that we represent and to thank them for their hard work and dedication. 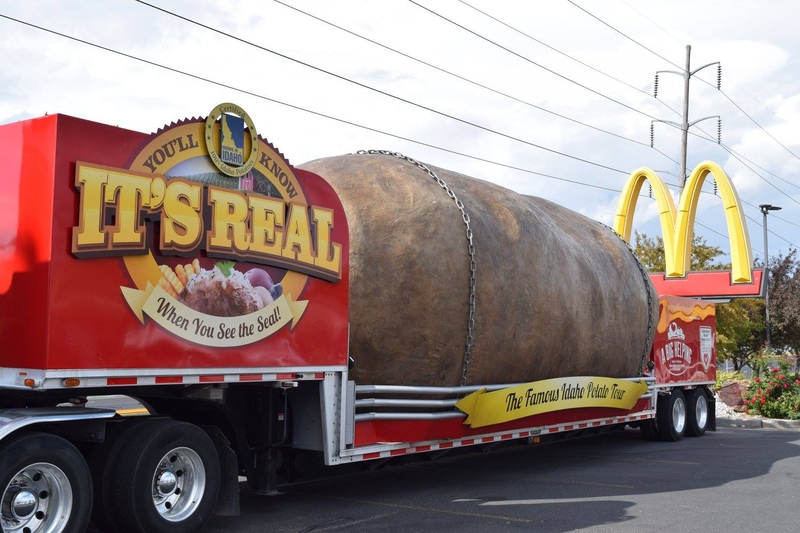 Then on Saturday the team attended the Super Bowl for Idaho potatoes, SHELLEY SPUD DAYS! 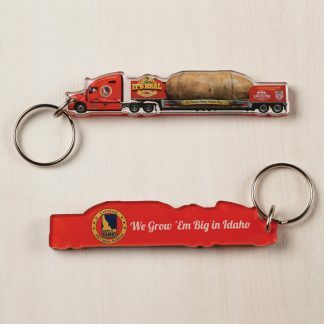 This event is dedicated to everything Idaho Potatoes, starting off with a Spud Parade, Idaho potato picking contest, and spud tug over a pit of mashed potatoes! The team rode in the parade in the morning, and attended the potato festivities throughout the day! 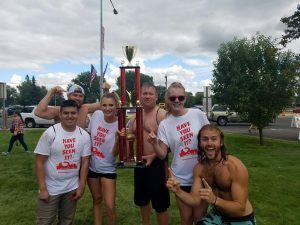 The Tater Twins, Spud Studs and Larry competed in the Spud Tug over a pit of Mashed Potatoes and came out as champions! It was a tough battle, but in the end the Spud Squad prevailed and even took a victory jump in the pit of Idaho mashed potatoes! After the win the Tater team surprised their tour director, Laura Martin (AKA Mama bear) for her 50th Birthday! They brought the Spud Tug first place trophy and an photo of the team for her office! The Spud Squad won first place in the Spud Tug!! The following Monday the team attended the third annual Kick of to Kind week! This event celebrated kindness and highlighted what local businesses, non-profits and vendors do to impact their community in a positive way. 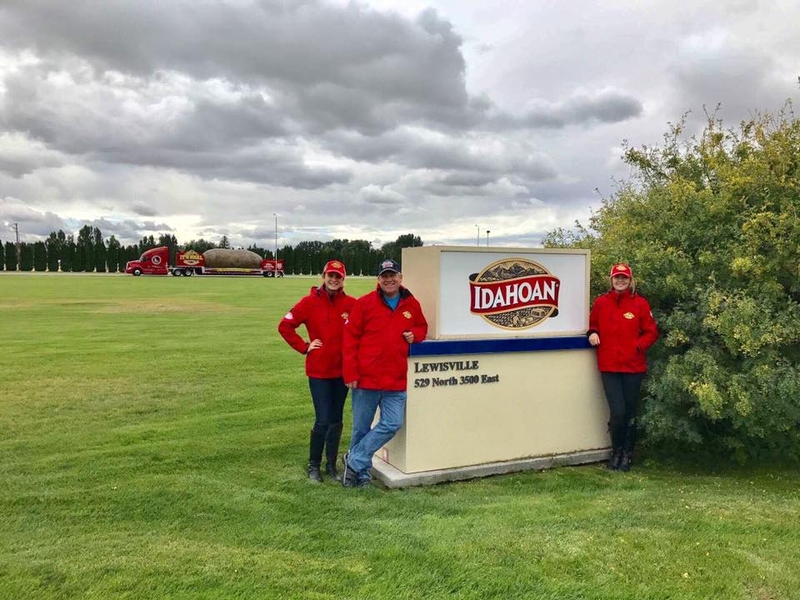 The team had a great time meeting all of the great people in the Pocatello community!Finally to tour the team was invited to tour the Idahoan dehydration plant in Lewisville, Idaho. Commissioner Dan Nakamura from Idahoan gave a a behind the scene view of the plant and tater team got to take home Idahoan signature mashed potatoes! It was very interesting to see the dehydration process and to see how the moisture is taken out of the potatoes. The Tater Team infront of the Idahoan plant in Lewisville! 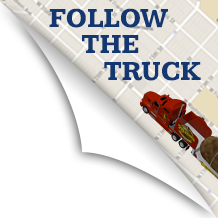 The 2017 National tour has officially come to end but the truck will be at local events like the Idaho Potato Bowl, KTVB cares day, and the Boise holiday parade! We also be at the ISU Homecoming Parade next weekend on Sep. 30th! This year was an exciting adventure and the Tater Twins feel so blessed to have had such an amazing first tour! In fact, they loved it so much they have decided to come back and tour in 2018! They already have so many ideas for next year and they can’t wait to tour with the new fiber glass potato! 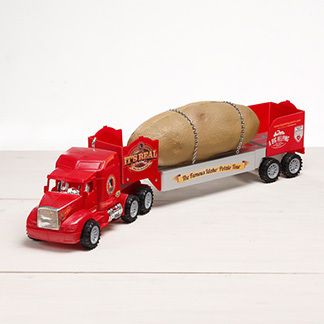 Tater Twin, Kaylee will be globe trotting through South and Latin America during the off-season and bringing her travel companion, Spuddy Buddy! Jessica will be staying in Boise and substitute teaching during the off season and will be at a lot of the local events! Larry, will be staying in James Hoff’s potato cellar and is planning to write a couple books during the down time! Thanks again for following us on this adventure until next time!